The Zuckerberg Institute is a subsidiary of ZUCKERBERG MEDIA Inc. which aims to change the face of innovation one new character, collaboration and company at a time. Dedicated to inspiring entrepreneurs, kids and the young at heart to participate in the power of science and technology, Zuckerberg Media has partnered with media juggernauts Hulu, NBC/Universal, Sirius XM, and HarperCollins Publishers, among many others, to bring powerfully entertaining and inclusive stories to audiences all over the world. Its properties are seen on television in more than thirty countries around the world, and its initiatives reach audiences of more than 1B annually. Most recently, Zuckerberg Media partnered with HaperCollins to publish Randi Zuckerberg's second bestselling book, Pick Three, and incubated Sue’s Tech Kitchen, a tech-infused wonderland for the mouth and mind aiming to break down the geographic divides and employment gaps that persist in technology by giving kids everywhere a tasty way to try tech. 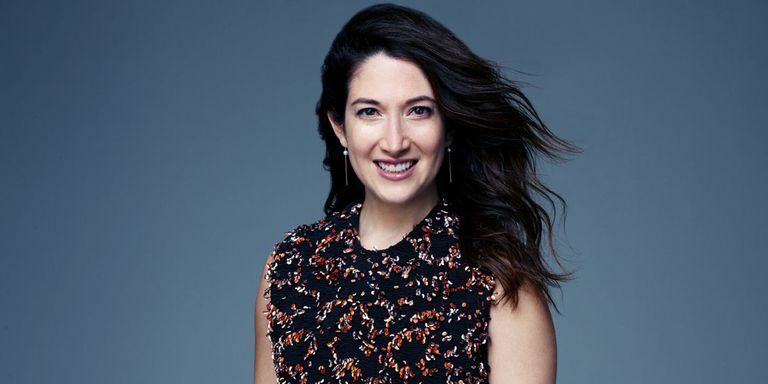 Founder and CEO Randi Zuckerberg began her career at Ogilvy & Mather before joining a once tiny Internet startup named “The Facebook” where she created and ran the social media pioneer's marketing programs from 2005-2011. As one of the company’s earliest hires, Randi helped grow Facebook into the global powerhouse that it is today, helping to invent social marketing in the process, and pioneering “Facebook Live with Randi Zuckerberg,” the first of its kind social-focused talk show that has evolved into the live streaming feature now living on a billion screens around the world. Since leaving Facebook, Randi has become a bestselling author, award-winning television host and producer, successful early-stage investor, and serial entrepreneur. Randi was nominated for a 2011 Emmy Award for her innovative blend of online/TV coverage of the US elections. In 2012, Randi became executive producer of a docu-series on Bravo about Silicon Valley's startup culture. Randi’s most recent business book Dot Complicated and her children’s book Dot. were both published in 2013 by Harper Collins and received wide acclaim. In 2016, Randi produced the animated series Dot. in partnership with the Jim Henson Company. The production, which debuted as a most-watched show on both the BBC in Canada and NBC’s Sprout, went on to win the 2017 Kidscreen Award for Best New Show in its category and now enjoys distribution on Hulu and in twenty regions around the world. Randi is also a sought-after speaker who has traveled the world in order to share her personal story and insights on technology, business and entrepreneurship in a fun and engaging style of comedic and cutting-edge entertainment. A lifelong lover of theater, Randi starred in Rock of Ages on Broadway for a 30-show run in 2014. Randi is a TONY Awards voter and a proud investor in the 2017 breakout hit Dear Evan Hansen. She serves on the American Theatre Wing's tech advisory committee and on Lincoln Center’s Board of Directors. But by far, Randi's favorite and most important job is mom. She lives in NYC with her husband Brent, and her two sons, Asher and Simi.